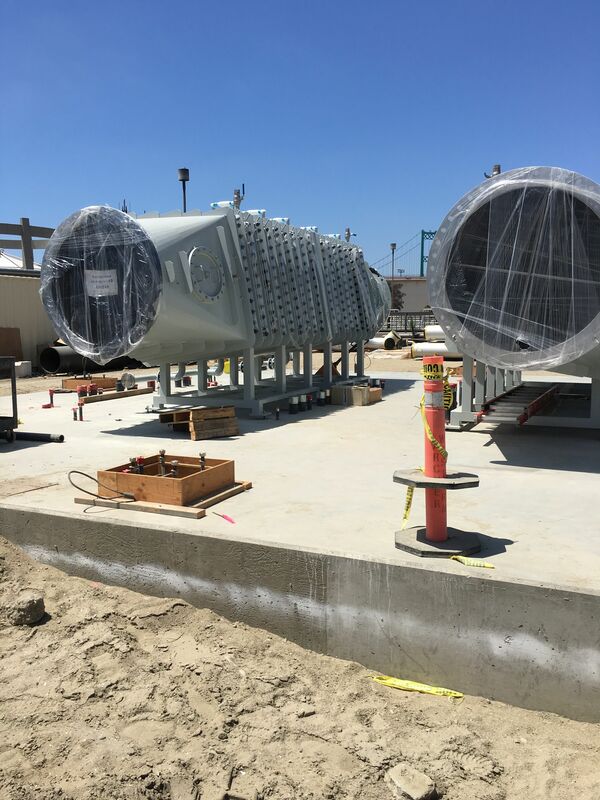 Construction of an Advanced Water Treatment Facility (AWPF) at Terminal Island Water Reclamation Plant (TIWRP) to provide safe recycled water for potable reuse for the surrounding area. The planning of this project started in 1985 and the construction was broken in two phases. Securing a reliable water supply for drinking, industrial uses and irrigation is a constant challenge for Los Angeles and the surrounding area. Sustainability concerns are also paramount. City of Los Angeles used/is using water reclamation technologies to address this/these challenge(s). 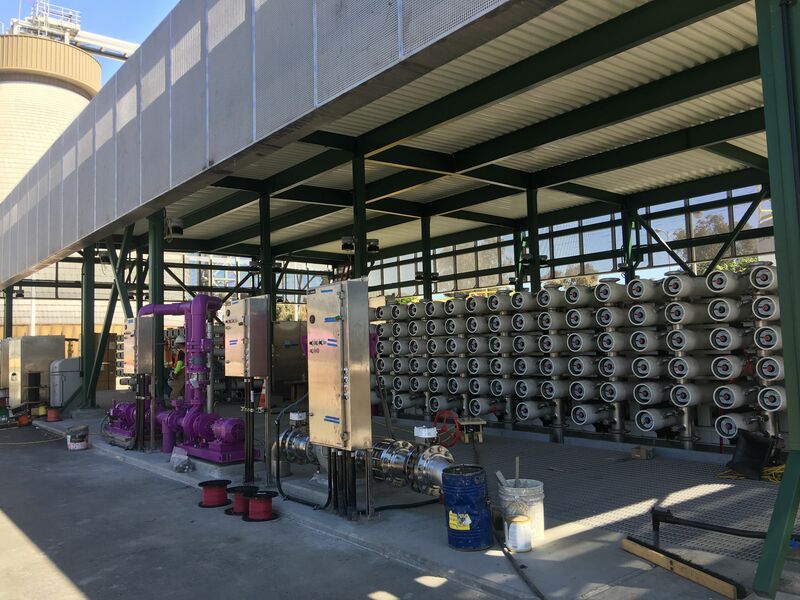 Phase 1 provided 6 MGD of recycled water using Microfiltration (MF) and Reverse Osmosis (RO) and chloramination disinfection; Phase 2 increases the capacity from 6 MGD to 12 MGD and replaces chloramination disinfection with an advanced oxidation process (AOP). 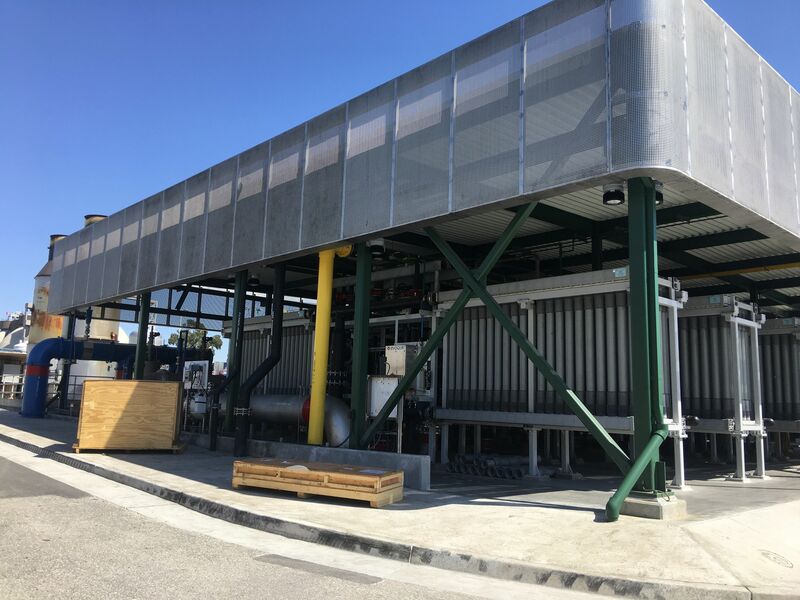 The purified recycled water produced at TIWRP will be sent to a number of users in the area to be used in place of potable water, including the Dominguez Gap Barrier (DGB), Machado Lake, the Harbor Generating Station (HGS), the Harbor area industrial users, and to the Los Angeles Harbor. Phase 2 AWPF will achieve “full advanced treatment” as defined by California Code of Regulations (CCR) Title 22, Section 60320.201. The AOP technology selection and sizing data were gained from a 12 month pilot study at TIWRP. 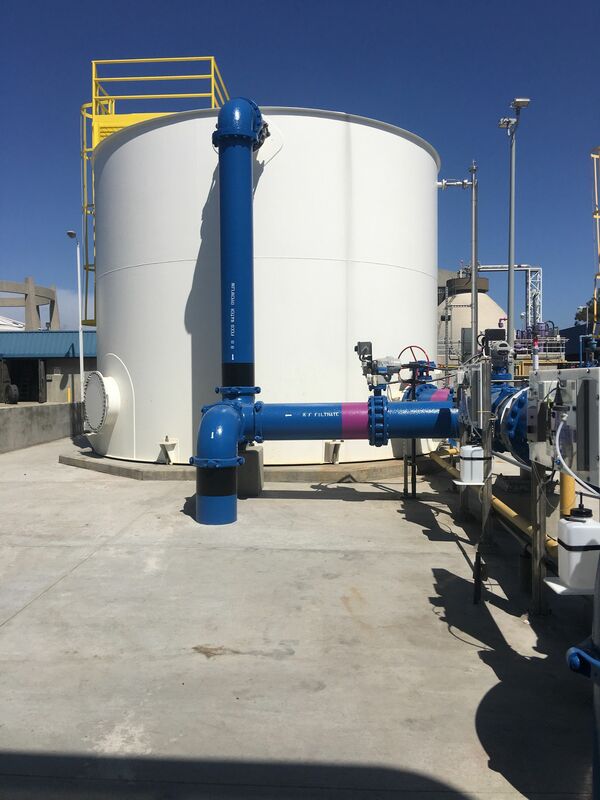 The combination of ultraviolet light and sodium hypochlorite has become a viable AOP alternative for potable reuse because of its economic benefits when compared to the traditional UV-based AOP with hydrogen peroxide (H2O2). Reducing the need to purchase potable water and increasing local water supply reliability. 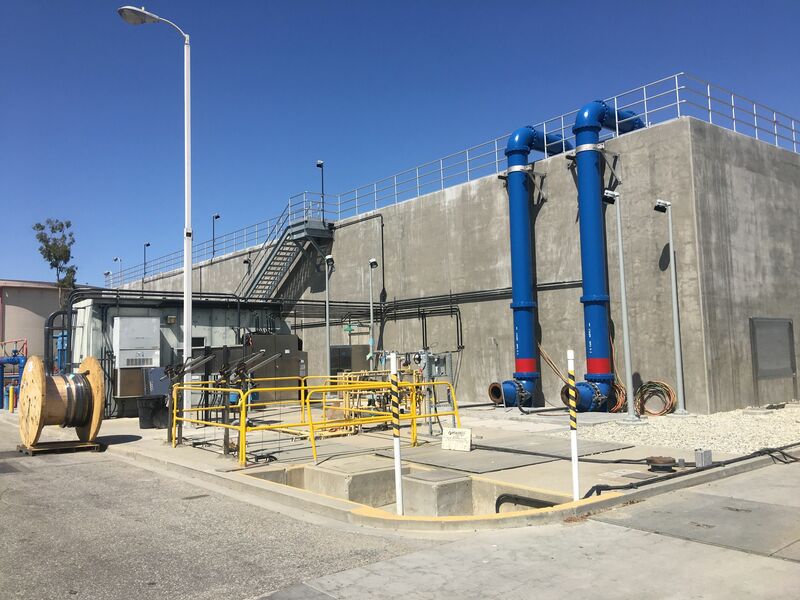 Preventing saltwater intrusion at the Dominguez Gap Barrier (DGB), through up to 100% subsurface injection of Recycled Municipal Wastewater Contribution (RWC). Improved environmental outcomes at Machado Lake through lake augmentation. 1st greenfield design in the world for the technology selected for Phase 2 (Low-Pressure Ultraviolet Light and Sodium Hypochlorite (LP-UV/HOCl). The TIWRP Advanced Water Purification Facility Expansion (Phase 2) received the Engineering News Record 2017 National Best of the Best award!